The winter issue of Twist Collective is up and includes my pattern Vivian. There are so many wonderful designs in this issue – she’s in some fine company. This is the big secret project I was working on over the summer and I’m so delighted that everything worked out in the end and it’s actually done. 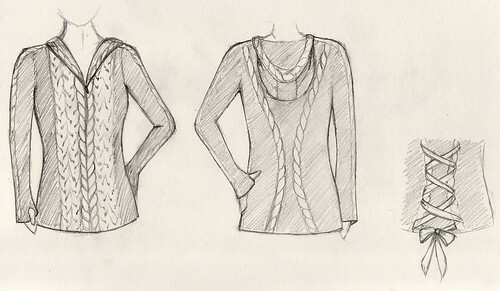 Vivian combines elements of traditional aran and gansey sweaters with a flattering fitted silhouette. Darted waist shaping is worked invisibly into the large cable patterns that run up the front and in the back seed stitch panel, giving a perfect fit with the illusion of a nipped in waist. Knit seamlessly, the sleeves are joined with the body at the underarm and worked in one piece to the saddle shoulders which are worked back and forth, joining to the body stitches as you go. 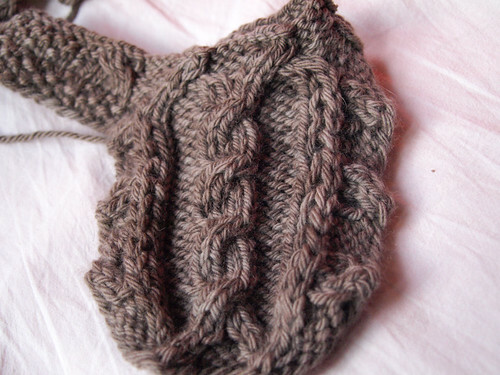 Unbroken cables run from the flared cuffs up the sleeves over the saddles and eventually join together at the centre of the hood. The whole thing started with this sketch, which I sent to Kate, along with the little birds and keyhole ideas back when she first contacted me about the magazine. Kate said she liked the idea, but wanted to use it for winter (at that point they were taking submissions for the first issue) – great I responded and promptly forgot all about it. There are some obvious common elements, but my sketch doesn’t exactly look like the finished design. That’s pretty normal, at least for me, maybe because I don’t actually sketch out most of my ideas they all tend to evolve on the needles. And in this case, honestly, I was a little bored by my sketch by the time I went back to it, so I grabbed a couple of stitch dictionaries and decided to make it more interesting. The problem with that was that I not only made the design more interesting (in my opinion!) 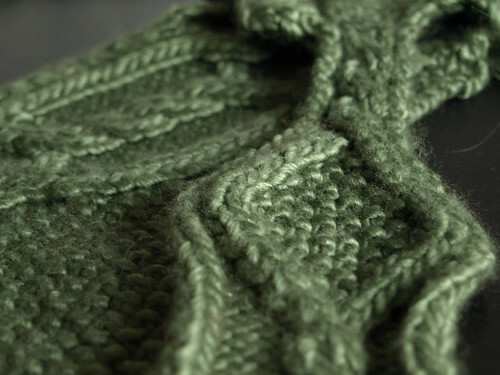 I made the pattern writing, especially the grading really ‘interesting’ and the knitting more time consuming. 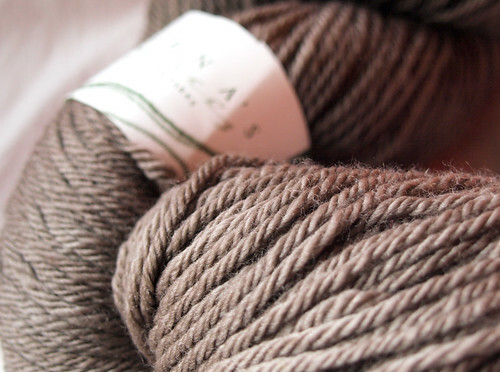 We picked out a yarn, easy – I think Kate and I have reasonably similar tastes, and a colourway, not so easy but I think we were both pleased with what we’d choosen. This was it. Yeah, that looks different too. It’s a beautiful yarn and I was excited for it to arrive so I could get started. When the tracking claimed it had arrived in Ireland I was just pleased that it would be with me in a day or two. Except it wasn’t. And then the tracking said something about out to delivery, still in Ireland, and I started to worry. Lots of phone calls later and we had no idea where the yarn was – not even whether it was in the Republic or Northern Ireland, but neither postal system claimed to have it. Time for plan B, and Kate basically said ‘it doesn’t matter what it is, just get some yarn now’. Hmm… ok ‘there’s some fyberspates scrumptious yarn in the shop I work in, and the dyer is lovely and might be able to help, how would that be?’ ‘Ok, what colour do you want?’ We picked Olive as a first choice. I called Jen, explained the situation, and she wasn’t in the least bit fased but told me to take whatever I needed and she would replace it. I called Katherine the store owner and asked what colours she had in stock, preferably in the chunky. Only the olive in a large enough quantity. Perfect, and although it wasn’t what we’d planned, I think it turned out very well. As for the lost yarn? It’s Lorna’s Laces Greenline Worsted in Echo and when it did eventually show up they kindly allowed me to keep it to use in another design, and I do have plans for it. It would make a lovely Vivian though, I wrote on Ravelry that I wouldn’t recommend a worsted weight but this is a pretty heavy one and I think it would work well. 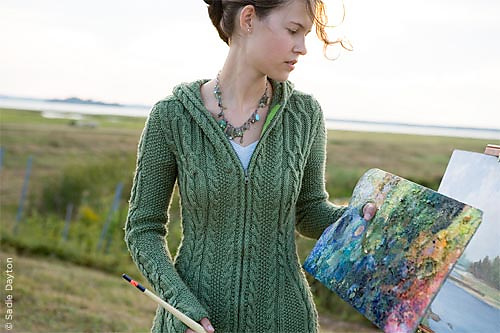 Look for yarns in the 14-18 sts to 4″ range, which is kind of heavy worsted, aran or chunky. 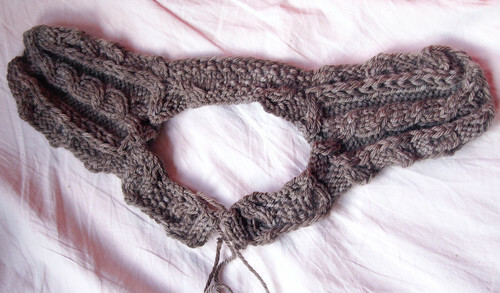 When I was working out the pattern, I ended up swatching the shoulder and neck shaping to check the pattern and I used this yarn because I wanted to see how it might have looked. I love it, my plans for this yarn definitely involve cables. So I got the yarn late, I’d made the design much more complicated and the official deadline fell right in the middle of my trip to Norway. Uhoh, I started knitting furiously, but you can see where this is going. It’s just not a project that can be easily completed in a couple of weeks, even when you don’t have to work everything out. 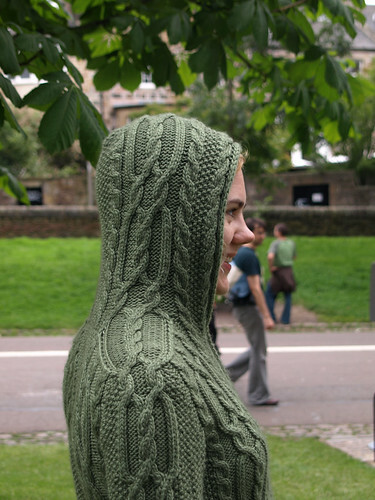 Kate was very understanding, both then and when the pattern was taking longer than it should have done and clashed with more of my travelling, so I went to Norway without the unfinished garment. Too precious (and large) to take on a camping trip. And when I came back it was all about getting this done. By mid August Kate was probably getting sick of my ‘soon I promise, maybe even tomorrow’ emails, but finally it was off the needles. After a couple of days frantically waiting for it to dry, densly knitted silk blends are never going to dry quickly even in August with the heating cranked up, I was able to snap a few quick photos to send to her (and prove that it did in fact exist) before I wove in the ends, bundled it up and sent it off to be photographed. UPS 3 day service to the United States is a wonderful thing. And then there came the pattern. I knit the garment very, very quickly and my notes consisted mostly of some charts, a few calculations and a lot of scribbled notes. Everything took longer than I wanted it to. Vivian is knit seamlessly and I wanted everything to fit together so that while you’re knitting it all seems to flow together well. But actually working out how to do that, in ten sizes, did not flow together at all. But with the help of my fantastic tech editor, Alison, I ended up with a pattern that I’m very proud of. It was quite a saga to get to this point, and of course this is really only the beginning. I hope you like Vivian and I can’t wait to see your versions appear. 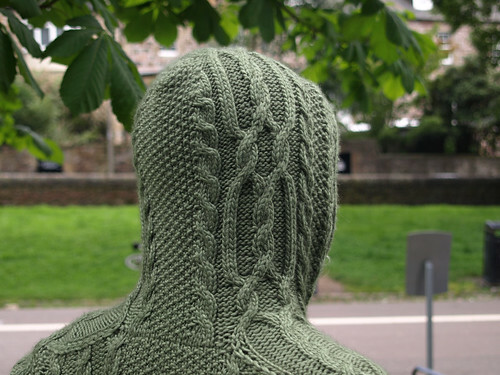 I’d love to knit Vivian for myself, I even picked up some yarn on my trip to New Lanark, but I have no idea if it will ever happen, too many other things to work on right now, sigh! 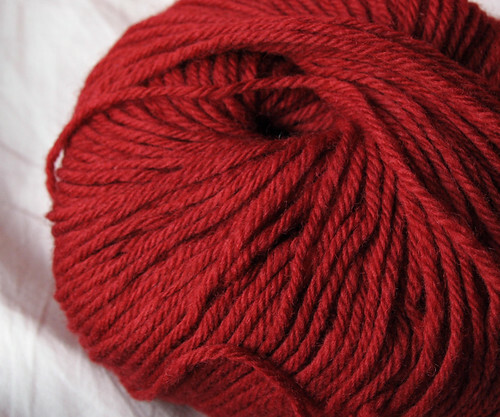 But I can still dream of a bright red, wooly Vivian, maybe with a fabric lining – wouldn’t that be great? Thankyou so much to everyone who made Vivian possible, more than any of my other designs, there is no way I could have done it without you. Thank you to everyone else who helped bring this project together, and who encouraged me with it, and to the whole team at Twist Collective, thank you for putting together such a fantastic home for my work.